Track 2: OY appears courtesy of Absolutely Kosher. Track 3: Thinking Fellers appear courtesy of the Communion Label. Track 4: Recorded at home. Mongrell appears courtesy of Luveable Nurse. Track 5: Bauer appears courtesy of Wabana Records and Partners In Crime (2). Track 6: Joost Visser appears courtesy of himself. Track 7: Deerhoof appears courtesy of 5 Rue Christine and Kill Rock Stars. Track 10: Recorded on May 19th and 20th of 2001. Thanks: H2owings, Lewis Lovely. Track 11: Danielson Famile appears courtesy of Secretly Canadian Records. Track 12: Recorded at Angerenstein Boshut. Track 13: The Double U appears courtesy of Emperor Jones. 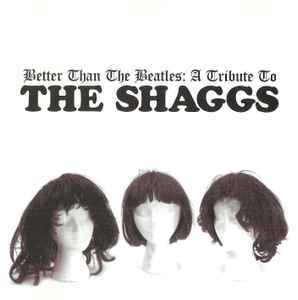 The songs originally appeared on the Shaggs, two albums, Philosophy Of The World and Shaggs' Own Thing. "Philosophy Of The World" is currently available on CD from RCA Victor. "Shaggs' Own Thing" is currently available on CD from Rounder Records. Thank you: Irwin Chusid, Ben Goldberg, Ari Sass, Pea Hix, Rob Crow, Alex Behr and the Double U, Andrew Gill, Stevie Moore, H2Ø, Jan Pol and all of the Furtips, Joost Visser, Tinca Veerman, Waldemar Noe, Cory Brown, our parents (the ones who really care), Randall Stephens, Chris Swanson, Daniel Smith, Ida, Bauer, Anne Eickelberg and Which Records, and Shaggs fans all over the world who have expressed their support and enthusiasm for this project. This CD is dedicated to Foot Foot, wherever you may roam. This is Volume 1 in a series of tribute albums to be released on Animal World Recordings over the next few years. The next few volumes will include tributes to Captain Beefheart, Young Marble Giants, The Embarrassment, Family Fodder, etc.